Closure Technology has SLA model making experience which enables market evaluation and design refinement to take place prior to prototype tooling. The application of computer-aided design programs, mould flow analysis and final element analysis enables Closure Technology to debug potential design flaws at an early stage of development. This significantly reduces the risk of expensive and time consuming changes later in the manufacturing process. Finished prototypes are carefully analysed for compliance to size and weight standards before being subjected to physical and environmental stress tests. Pre-Production evaluation, machine tooling and engineering testing form the foundation of the Closure Technology total commitment to quality. The difference between the ordinary and the extraordinary packaging products. 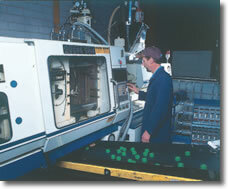 investment in state-of-the-art computer controlled injection moulding machines to ensure that closures are produced to the exacting dimensional tolerances with constancy. On being discharged from the balanced hot-runner moulds, the moulded closures are inspected, weigh counted and stacked prior to lining. Closure Technology has developed technology to wad various materials into moulded closures in response to client specifications. 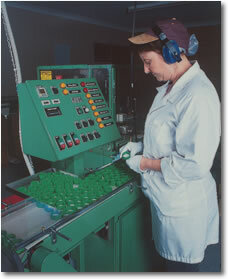 The manufacturing environment at Closure Technology is governed by a demand for total product quality. Ongoing quality education of our skilled technical staff and the selection of high quality raw materials ensures consistent performance of the the moulding process and ultimately, consistent sealing integrity of the final closure. At every stage in the manufacturing process, precise visual checks of the product and consistency are carried out. The emphasis is on prevention rather than correction. 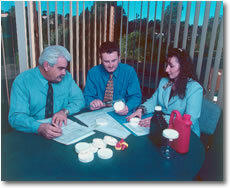 Closure Technology is continually striving towards a corporate manufacturing goal of zero defects in delivered product.